I've said many times before here on my blog that I have incredibly light, straight lashes which can test even the best mascaras. I have found a few which win the battle against them but nothing has ever really stood out to me as being something which I could claim to be a staple in my make up collection. That is, until I tried the Yves Saint Laurent 'Shocking' mascara. This has done the rounds in the beauty community; on Youtube and on blogs but I'd avoided picking it up because it retails at £25 which for me was just far too much to justify spending on a mascara. But I obviously caved and picked it up in Boots a few months back... it pained me but I don't regret it in the slightest. Given that it is a mascara from YSL, one would expect the packaging to be beautiful and it definitely delivers. A stunning gold, mirrored tube with striking black font and the YSL logo looks and feels every bit as luxurious as you could hope for and it definitely stands out as something special in my make-up bag. At first sight, the wand isn't anything to write home about but on closer inspection it's actually quite unique. It's a fibre wand which I tend to prefer to plastic wands although I'm not all that picky. 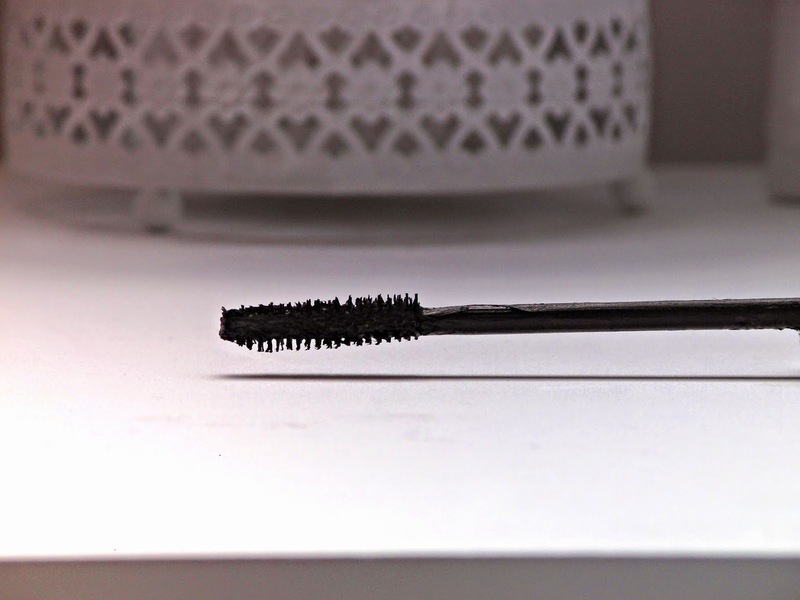 But the bristles actually seem to point in all directions which can look a bit messy but it actually makes it very easy to catch every lash with wand and coat them all in product. It seems to pick up a lot of product which actually did worry me a bit at first; not what I'd expected from a £25 product. However, somehow the product just seems to settle into the centre of the wand and is then evenly distributed throughout the lashes which is brilliant. The formulation of the mascara itself is definitely on the thicker, more dry side which is perfect as I find that thin, wet mascaras don't offer me a lot of hold or curl and anything that I do achieve simply falls down very soon after application. What really makes it worth it though, is obviously how it performs and how it leaves my lashes looking. In my opinion, I can't fault it at all on performance. Obviously, the photo on the left is of my bare lashes and on the right is with two coats of the 'Shocking' mascara. As you can see, it's given me an incredible amount of lift and curl and definitely a lot of length and definition. I think it looks very, very natural also. 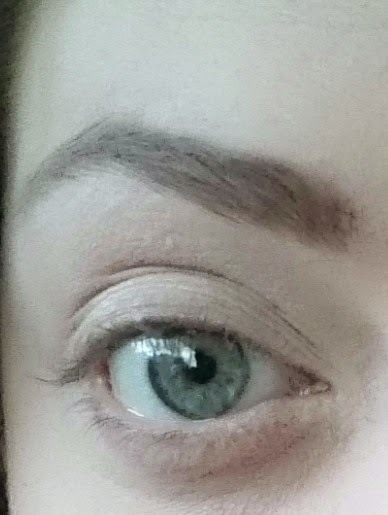 Not like I've applied lashings of mascara to achieve a full lash look but like my lashes are just full and long and defined with minimal effort which I really love. But what's most impressive I think is just how long these effects last for. 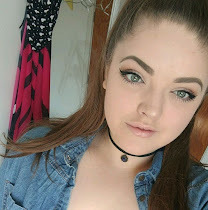 I struggle with keeping any curl or lift with my lashes. 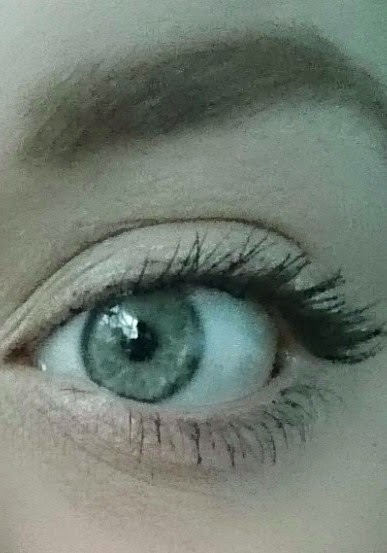 I work in a kitchen where it's obviously very hot and so usually any effect that mascara gives either flakes away or just falls within a few hours, but this mascara gives me this amount of curl all day. Hours and hours on end in a boiling hot kitchen and when I leave, my lashes look just as good as they did when I applied the mascara. That's a definite winning property for me. I do however, have one minor issue with this product. It has quite a strong rose scent which I just don't understand. It's pleasant and all, but I will just never understand why one would need scented products for their eyelashes?! Nevertheless, I simply adore the YSL 'Shocking' mascara and as expensive it is for a mascara, I see myself continuing to repurchase it time and time again. Besides, if I use my Boots points it doesn't even really count, does it?! Have you tried the 'Shocking' mascara? What's your favourite YSL product?